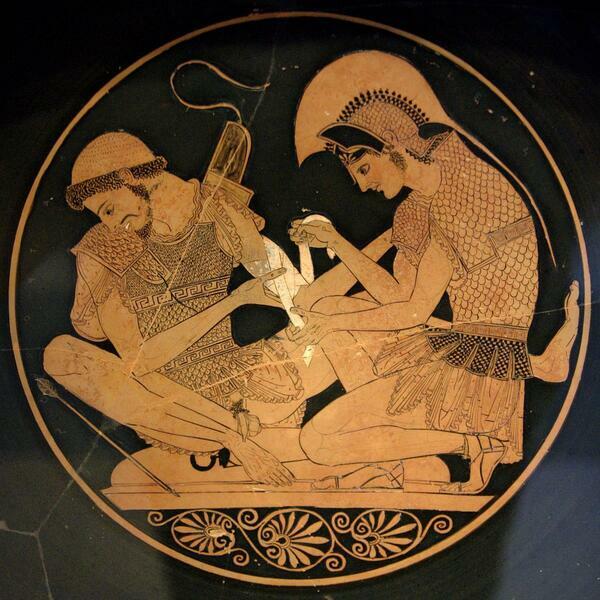 Photo:Achilles tending Patroclus wounded by an arrow, identified by inscriptions on the upper part of the vase. Tondo of an Attic red-figure kylix, ca. 500 BC. From Vulci.